SCVHistory.com AL1968 | People | Elizabeth Evans Grazed by Bullet During Robert F. Kennedy Assassination. 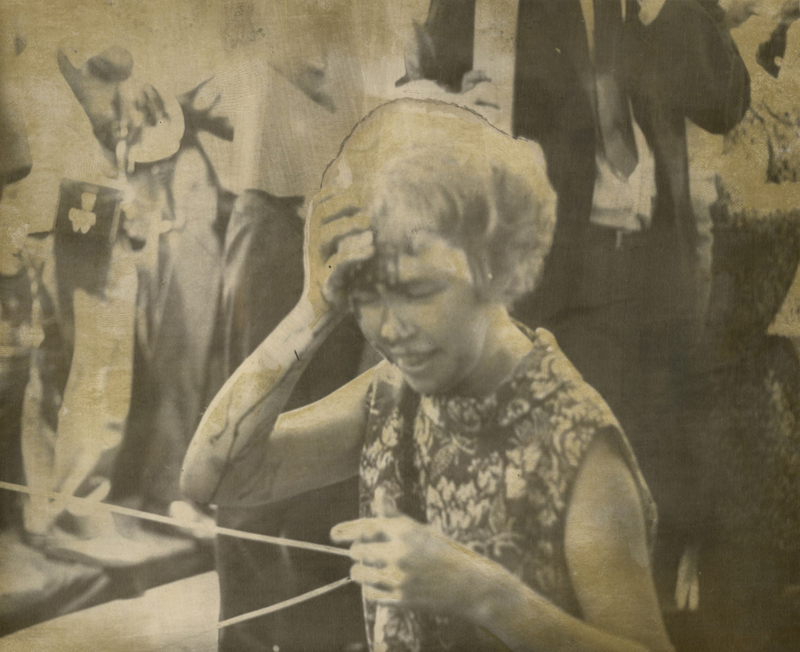 (LA24)LOS ANGELES, June 5 --WOMAN GRAZED BY BULLET--Elizabeth Evans of Saugus, Calif., puts her handkerchief to her forehead which was grazed by a bullet at the hairline during the shooting of Sen. Robert F. Kennedy in Los Angeles early today. (AP Wirephoto) 1968. Elizabeth Evans was the wife of Art Evans.